The gang war escalates into a confrontation inside the prince's palace. In the midst of a storm, Karma uses her power to infiltrate the palace of Madripoor's prince, hoping to free Tyger Tiger, Jessica Drew and Lindsay McCabe, captured by her uncle and taken to the palace. When her concentration falters for a moment and the guard she's possessed regains his senses, Karma is saved by the timely arrival of Wolverine and Archie Corrigan, having tracked the women's scents to the palace. Deeper inside, General Coy toys with Jessica and Lindsay before giving them an ultimatum: kill Tyger Tiger for him, and they can go free. 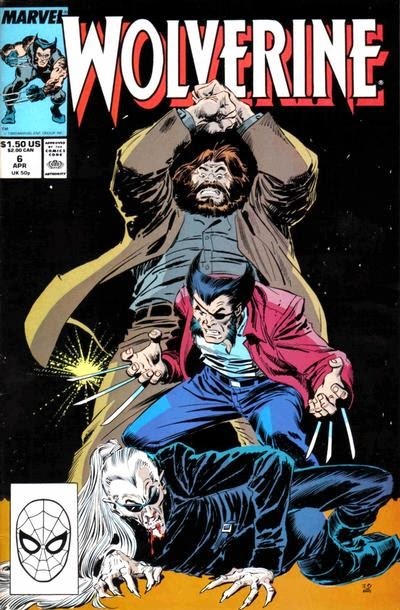 Just then, Wolverine intervenes, and is attacked by Roughhouse and Bloodscream. Excalibur is consumed by Inferno. In the transformed Manhattan, Crotus comes across the mannequin-like Rachel, frozen in place inside a bridal shop. Recognizing her as Phoenix, Crotus begins to enact a spell to bind her power to his will, through which he can rule everything. Meanwhile, inside the demonic movie theater, Shadowcat battles a possessed Captain Britain, their action movie trappings eventually changing, with Captain Britain becoming a horror movie monster and Shadowcat a cheerleader. 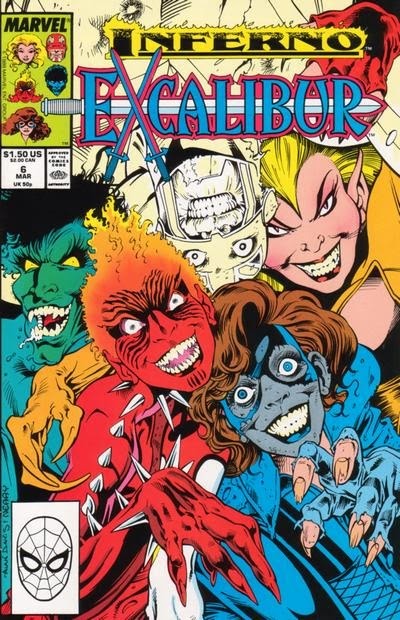 Elsewhere, Nightcrawler is scooped up by demonic garbage truck, but manages to escape, then helps leads a defense against an army of possessed mannequins as Shadowcat comes face to face with Meggan the Goblin Princess. 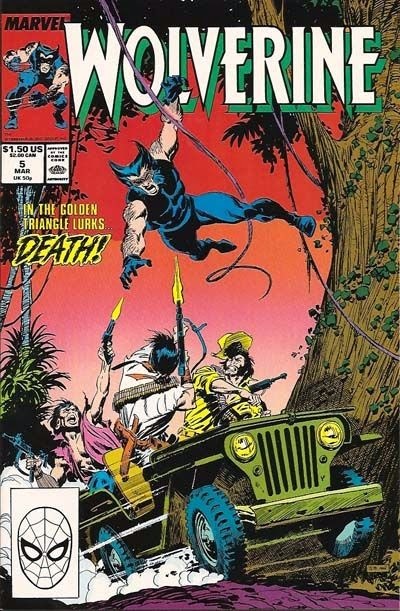 Daredevil #265 by Ann Nocenti & John Romita Jr. Daredevil #265: Daredevil wanders New York, fighting back against the demonic invasion but growing increasingly more harsh and disconnected from reality. Eventually, with the help of his young friend Butch, he snaps out of it, and as the demonic invasion subsides, the city slowly begins to return to normal. 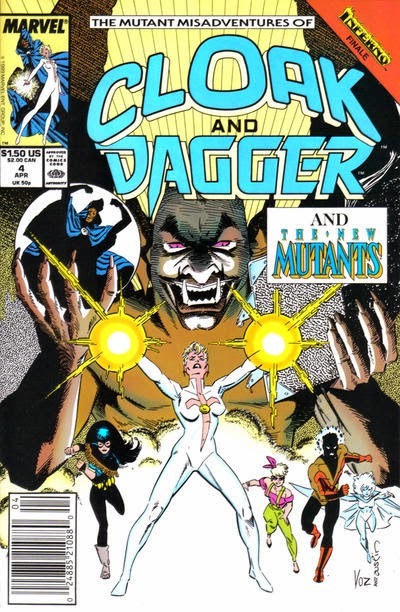 The Mutant Misadventures of Cloak and Dagger #4: Having stolen Belasco's spell book, Crotus intends to re-enact the Inferno spell successfully, by tricking Cloak & Dagger into killing themselves. To that end, his demons confront the pair, playing on their fears and insecurities. Dagger manages to resist their efforts, while Cloak transports the demons, and himself, into the Dark Dimenson from which he draws his power. When Dagger, with the help of the New Mutants, locates Cloak, she finds only his cloak, and believes it to mean that her friend is dead. 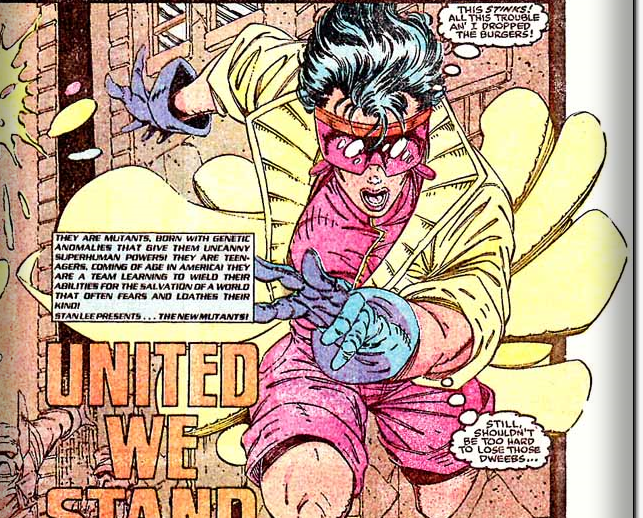 Next month, we enter publication year 1989, and with it, the first appearance of everyone's favorite sass-mouthed, fireworks-generating, trenchcoat-wearing character, Jubilee! Plus, Rob Liefeld makes his first appearance in the X-books (or, at least, his art does). It may still be 1989, but the 90s are knocking at the door! "Inferno" ends as Cyclops destroys Mr. Sinister. Amidst the ruins of the X-Mansion, Longshot challenges Mr. Sinister, holding an unconscious Marvel Girl, and Malice. Along with Beast, he distracts them long enough for the rest of their teammates to wake up. Psylocke and Rogue attack Sinister, but he overpowers them both as he captures Cyclops, mentally blocking his power and detailing the role he played in Cyclops' life as child. 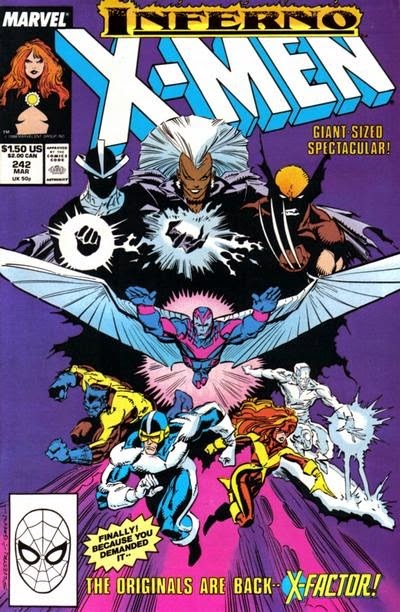 As Havok attacks Sinister, he's trapped in metal by Malice as the rest of the X-Men and X-Factor begin to formulate a plan, telepathically linked by Psylocke. Reasoning that Mr. Sinister seems vulnerable to Cyclops' optic blast, they resolve to free Marvel Girl and Havok while Havok tells them to leave Cyclops to him. "Inferno Part the Fourth: Ashes"
The X-Men and X-Factor track down Mr. Sinister at the X-Mansion. 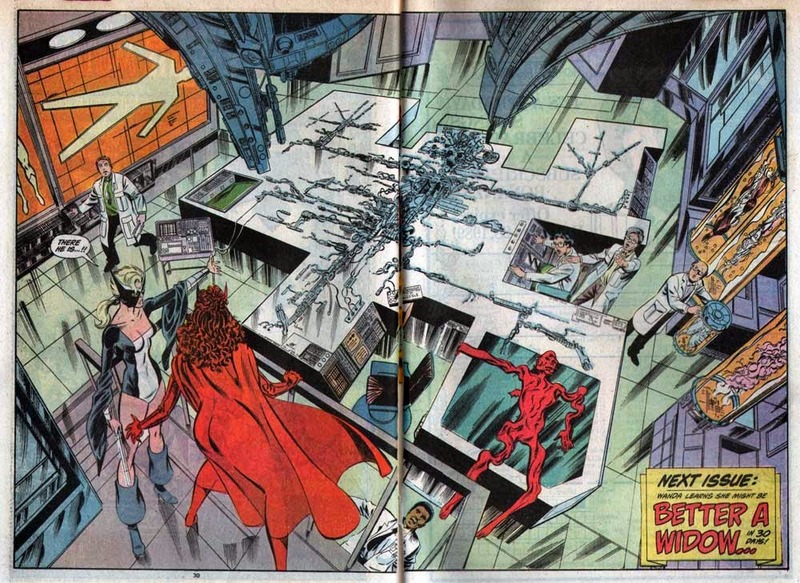 At the Empire State Building, the X-Men and X-Factor are mourning the loss of Madelyne when Marvel Girl suddenly cries out in pain. Using the psipaths from when she established a telepathic rapport with her, Psylocke brings herself, Cyclops, Storm and Wolverine into Marvel Girl's mind, where they realize that she now shares memories with both Madelyne and Phoenix. Just then, an avatar of Mr. Sinister appears in Marvel Girl's mind as well, destroying her memories, determined to transform her into a blank state. As Psylocke momentarily fights him off, Storm, Wolverine and Cyclops urge the remnant of Madelyne's mind to help them fight back against the villain, her true tormentor. Agreeing, Madelyne lashes out, forcing Sinister out of Marvel Girl's mind. At the X-Mansion, Mr. Sinister wakes up, telling Polaris they're about to have company. Lisa teams up with the creator of Malibu Stacy to create a new, more female-empowering, doll. Confronted by his own mortality, Grampa decides to give the family their inheritance earlier, prompting a speedy trip to the mall. There, Lisa is excited by the new talking Malibu Stacy doll, until she actually hears it speak. Incensed by the blatant sexism spouted by the doll, she vows to seek out Malibu Stacy's creator. Kathleen Turner guest stars as Stacy Lavelle, the creator of the original Malibu Stacy. The gang war between Tyger Tiger and General Coy continues. 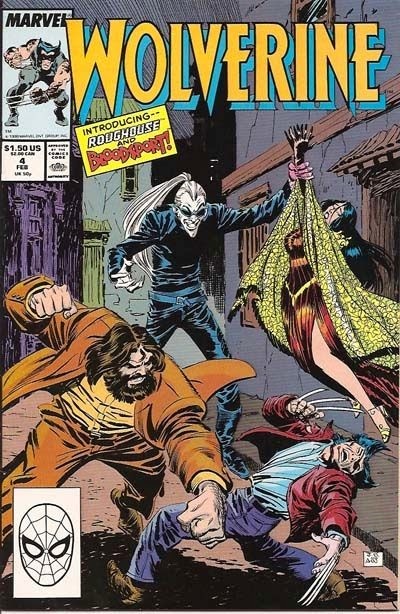 In Madripoor, Bloodsport notes Karma's bleeding hand, and when he tastes her blood, he tells her they are now bound together, til death and perhaps beyond. Meanwhile, Patch and Archie Corrigan are flying into the Golden Triangle, en route to General Coy's opium fields. Remembering his encounter with Bloodsport, Archie struggles with the idea of executing Patch, ultimately deciding he can't do it. Just then, their plane is attacked by an old fighter plane, but together, Archie and Patch manage to destroy it. Back in Lowtown, Jessica Drew and Lindsay McCabe bring the unconscious Tyger Tiger to the office of Landau, Luckman and Lake for safe keeping. In the Golden Triangle, Battleaxe and Shotgun, two mercenaries working for Coy, are ordered by Hardcase, their commander, to investigate the plane crash, just as Patch appears out of the mud. 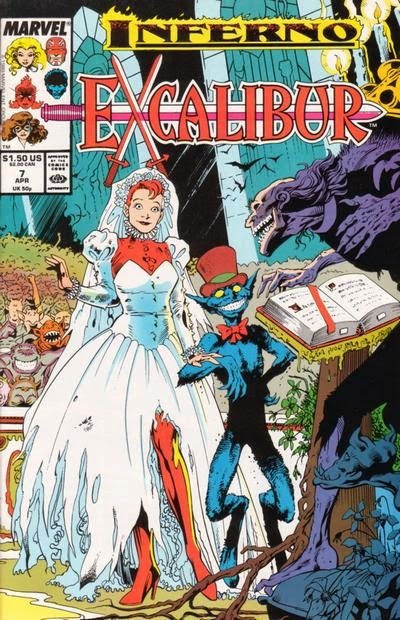 Excalibur is drawn into the events of "Inferno". In the middle of the night, Rachel awakens from a dream to a psychic cry of help from her baby brother. In a burst of energy, she flies off to New York, and the rest of Excalibur decides to follow her. At Euston Station, Inspector Dai Thomas meets with Alysande and Alistair Stuart of the Weird Happenings Organization, who show him a train seemingly from an alternate reality, inside of which are strange versions of Moira MacTaggart and Callisto, each wearing Nazi armbands, with Moira threatening to tell the Fuhrer of their wrongful imprisonment. Meanwhile, Phoenix arrives in New York and, seeing the Goblin Queen atop the Empire State Building, approaches her, thinking she is her mother. But the Goblin Queen blasts her , and Phoenix is absorbed into the demonic building. Fantastic Four #324: The Fantastic Four team-up with Kang to rescue Mantis from the sorcerer Necrodamus. Web of Spider-Man #48: Spider-Man battles the demonically-possessed Hobgoblin. Amazing Spider-Man #313: Spider-Man battles the Lizard. Spectacular Spider-Man #148: Flash Thompson and Betty Brant are targeted by demons who pose as Spider-Man and Betty's deceased husband, Ned Leeds. 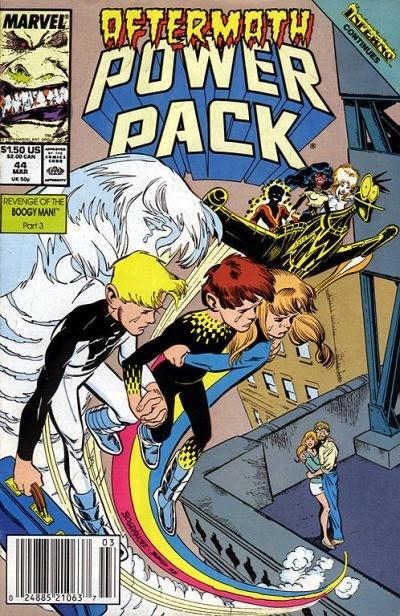 Power Pack #44: In the midst of the Inferno, Power Pack does their best to fight against the demon hordes until they see a massive portal open which draws in all the demons. Madelyne Pryor and Jean Grey fight to the death. Atop the transformed Empire State Building, with Marvel Girl her prisoner, Madelyne prepares to sacrifice her son to permanently bond Limbo with Earth. 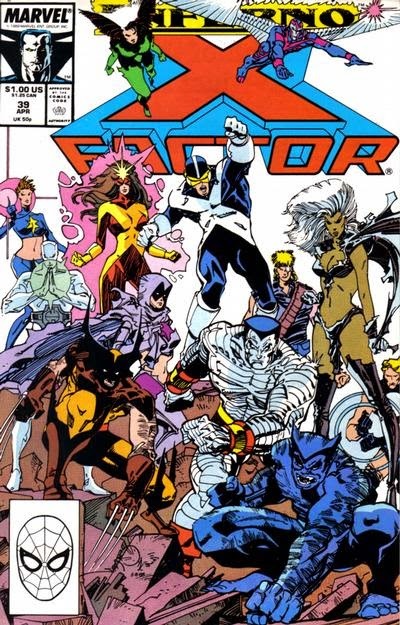 Madelyne sets the remaining demons against the X-Men and X-Factor, then turns Longshot, Dazzler and Angel to her side and tasks Havok with bringing her his brother's heart. But Angel, fighting Madelyne's influence, manages to free Marvel Girl as Storm deals with Longshot and Dazzler. Their powers useless against each other, Havok and Cyclops resort to throwing punches as Marvel Girl attempts to rescue Christopher, but Madelyne stops her, containing the women inside a massive bubble of telekinetic energy. 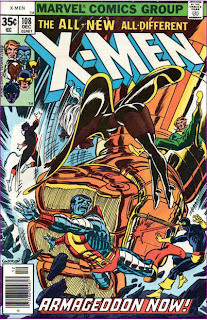 As the X-Men probe the force field, Havok falls off the building, but is rescued by Angel. Together, Storm and Cyclops reason that if the two teams can apply enough force to the bubble to tax Madelyne's concentration, a well-placed blow could then shatter the field. As Madelyne telepathically links her mind to Marvel Girl's, showing her how she was born the day Jean Grey rejected the portion of her soul stolen by the Phoenix, Longshot overcomes the demonic influence long enough to use his luck power to pinpoint the weakest spot on the force field. Illyana's battle with her dark side comes to an end. In the demonically transformed Manhattan, Illyana battles S'ym, quickly realizing she'll need to fully accept her dark side in order to defeat him. 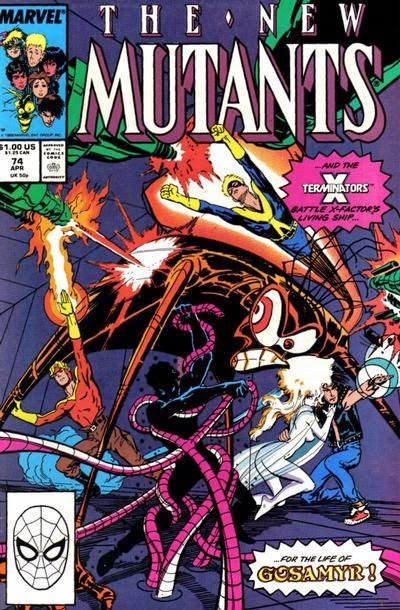 Elsewhere, both the New Mutants and Colossus search for Illyana. Atop the roof of the Hellfire Club, N'astirh appears before the Inner Circle, offering an alliance. Passing by, the New Mutants see Magneto conversing with the demon, increasing their distrust in their estranged headmaster. Nearby, Colossus is brought to S'ym, just as the New Mutants spot the effects of his battle with Illyana. 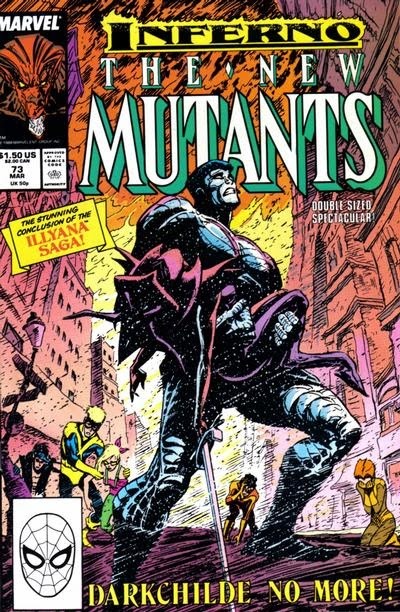 The New Mutants manage to separate Illyana from S'ym as Colossus fights the demon himself, and Illyana, distraught over her brother seeing her Darkchilde form, flees to Limbo along with the New Mutants. Once there, she realizes she can no longer run from her destiny and takes her throne, accepting her dark side as ruler of Limbo once more. 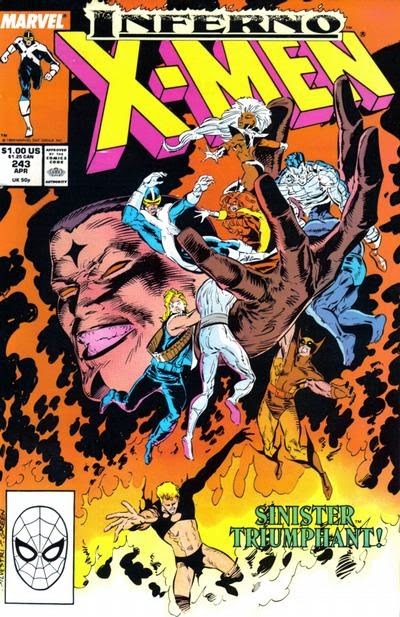 On Earth, Colossus continues to fight S'ym as Dani, Rusty and Skids defend the kidnapped babies from demon attacks. In Limbo, Rahne rushes off, determined to locate the child Illyana the New Mutants had previously seen running through Limbo. Apu comes to live with the Simpsons after Homer causes him to lose his job. After Apu's questionable practices (and his own questionably choices) give him food poisoning, Homer goes undercover to expose the said practices, causing Apu to lose his job at the Kwik-E-Mart. 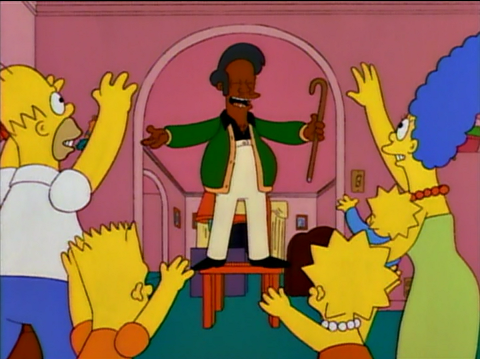 This is the first of a what will eventually become a subset of Apu-centric episodes, which will find the Simpsons playing host to Apu's wedding to Manjula and being involved in the birth of their octuplets, amongst other things. In the process, both Homer and Marge develop a friendship with Apu and Manjula that far exceeds the customer/shopkeeper relationship in place at the start of this episode, to the point where the Nahasapeemapetilons are arguably Homer and Marge's closest married couple friends, a rare bit of ongoing continuity for the show.